Can I buy an aftermarket key blank for my car? Do I have to buy an OEM (Original Equipment Manufacturer) key blank? Aftermarket keys are usually way cheaper than OEM keys, but they can be problematic, which is annoying and no one likes throwing money away. Many dealerships will tell you that you have to buy an OEM key blank or they will refuse to program it (which is fair), so I’ve written this article to help you decide what to do what in regards to buying Original or Aftermarket keys. I’ve broken down transponder keys into three types and provided some useful generalizations. 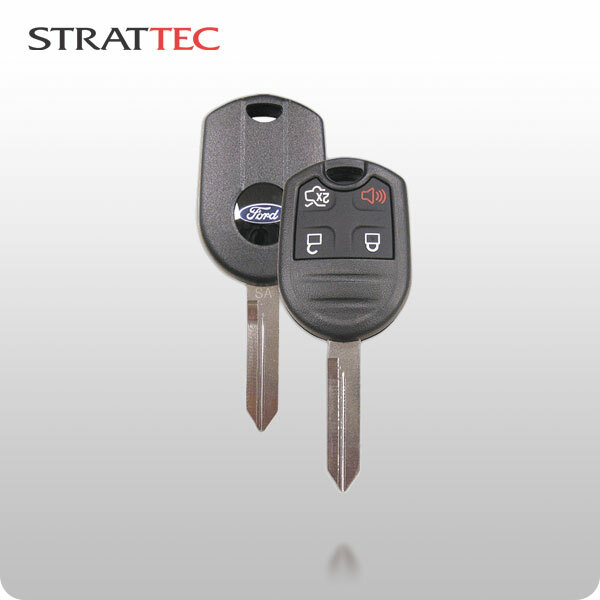 With older, plain transponder keys (many vehicles from approx 2000-2010), without any buttons in the head of the key, the answer is nearly always no, you don’t have to buy an original OEM key blank. At first, many of the Asian manufacturers (not to be confused with the top notch manufactures like Ilco/Silca or Keyline) were producing keys of questionable quality. The quality control was awful. For the most part that has now changed. You will always be safe with non-remote head transponder type keys from Ilco/Silca and most asian produced keys from a reputable online vendor. Be super careful with any Kia or Hyundai keys. Even the plain transponder versions of these keys are complicated. It is not straightforward determine which blank is required (Canadian cars use different keys than US cars). – One note about the older transponder keys- it often isn’t worth it to buy online. The key blanks themselves are usually between $25 and $45 (not including programing) from a reputable locksmith, so at best you are saving yourself $5-$15 on a key blank (be careful of shipping) and you have to wait for it to come in. It is better to avoid the hassle or buying the wrong key and support one of your local Edmonton locksmiths. The key below is a prime example of an aftermarket Ilco transponder key that functions exactly the same as an original and costs much less. 2. Aftermarket Integrated Remote Keyless Entry (RKE) keys (the ones with the buttons built into the head of the key from 2004ish through today) are more of a risk. If you are confident in your research abilities and don’t mind taking a risk, you can save yourself a bunch of money (compared to the dealer). There is a great deal of variability in the quality of RKE keys, so stick to major online vendors. Just because a key looks the same doesn’t mean it’s going to work (different electronics inside the key). Do your research! It isn’t the dealer’s or locksmith’s fault if your key does not work and they will charge you for the time and costs to program your key! Most Chrysler/Dodge/Ram bladed RKE keys are OK, but it is tricky to tell which one you need. Be careful of Chrysler/Dodge/Ram FOBIK keys. You have to get the right one (looks the same isn’t good enough). Be careful of GM (separate) remote keyless entry fobs. There are plenty that look exactly the same and have different applications. Aftermarket Mitsubishi RKE keys are brutal. Double and triple check with the vendor to make sure you’ve got the right one. -Note- Most RKE keys have plain/non button head versions, so if you want a cheap spare key you can get a plain transponder key to do the job. 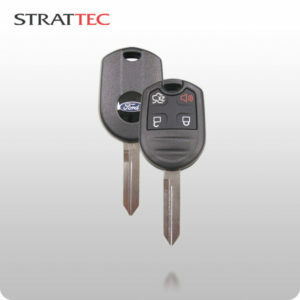 This is a common Ford Remote Keyless Entry key. Read more, visit the original article at http://www.finelinelocksmithing.ca/do-i-need-to-buy-an-oemoriginal-equipment-manufacturer-key-blank-for-my-car/. How To Find A Reliable Lo... Filing Cabinet Locks Vouches for the Security of All Your Documents and Belongings Filing cabinet locks offers you a high- end security to keep your belongings safe.